Almost twenty years ago, I was working with a FTSE 100 company and found a letter on my desk addressed to me as a “visible ethnic minority senior manager”. In horror, I binned it. Over lunch, I had a change of heart and fished-out the letter from my waste paper bin. I had decided that although the language was clumsy, there was a heart that seemed to be in the right place and I should find out more. That letter was produced as a result of Tony Blair’s challenge in the late 90s to the CEOs of our top UK companies: to know the nature of representation on race, gender and disability within organisations. What followed for me was nearly two decades working in diversity, engagement and communications across the private, public, government and third sectors which eventually lead me into community organising, interfaith and into broadcasting. Twenty years ago, diversity was a new and emerging area of business – the idea that inclusivity and representation was a core business asset, not an administrative overhead. It was up to activists within organisations to make and sell the case, to develop the language and policies, to support, encourage and monitor. To be the grit in the oyster. Not only did we have to look at management information and benchmarking but we also needed to understand the politics of creating change in business. This wasn’t wishy-washy liberalism, this was about real business and niche markets, better staff loyalty and engagement, doing better business and increasing profitability. To get to that promised land, business leaders were going to have to face harsh truths on what diversity looked like, to be open about where their companies stood, and learning how to encourage and develop positive action, as opposed to positive discrimination. Most of all, we all had to look at how to change the landscape through empowerment, learning and scrutiny. A deficit model was relied upon for decades, predicated on the idea that the problem was with the marginalised group and individuals. That women had no voice. That ethnic minorities needed educating. That disabled people needed better access. Not to say that there aren’t some realities therein but that deficit model is now widely recognised to be a broken model. It is far more important and impactful to look at organisational obstacles and pinch points. Leading thinkers in HR, organisational behaviour and diversity (Özbilgin, Tatli et al) describe a shift from equal opportunities to managing diversity. At its heart, is a move away from a fixation with policy, process and prescription to understanding how to manage difference, embrace and engage diverse groups, and create conditions for organisations to learn – to not only think differently but to be able to modify their behaviours. Modern workplaces are recognising that superficial diversity (often based on demographic attributes) is important but ultimately, short term. Deep-level diversity relates to attitudes, beliefs and behaviours, which are crucial, cultural and longer term. Embedding this concept of what I call big diversity is a vital part of successful people and business management. Like any engine, it requires maintenance, direction and a driver. Practitioners soon learned that their needs could not be tackled in isolation. Diversity was multi-stranded and the destinies of all groups, from sexual orientation and gender, from age to disability, from religion and belief to race and so much more besides – were all intertwined. Discrimination and mistreatment, marginalisation and victimisation against one, was an attack against all. Whilst Stonewall pioneered work for those in LGBT communities and many other groups looked at progressing the case for disabled people, governments and organisations set targets for the representation of women, flexible working and better working conditions. For many years, I supported a leading transgender charity in the South as we worked in unison to progress a common area of need – just treatment, better representation, fairer policies. During this same period, we saw the rise of the popular far right across Europe, a growing anti-Muslim antipathy, hysteria and Islamophobia and quite considerably, the employment status and civil rights of Muslim workers deteriorated. Today, Muslims are the most unemployed, most under represented (particularly in senior positions) and the most discriminated against in the British workplace. This is – and let’s be clear it has always been – a national scandal. A national shame. We should welcome the report from Demos, Rising To The Top, which reveals that British Muslims are less proportionately represented in senior occupations than any other religious group and are also more likely to be unemployed and economically inactive with the lowest female participation rate of all religious groups. It holds up a mirror to British society and to a long standing reality – The Muslim Penalty. From language, CVs sifted out at the point of responding to job advertisements, the obsession of the British workplace with alcohol, educational inequality and the under-representation of Muslim women; it’s an important piece of research. The fly in the ointment is the most glaring flaw in Demos’ vade mecum: it reinforces the broken deficit model, the idea we can fix things by asking marginalised and mistreated groups and individuals to do more themselves, to improve outcomes. That is a very small part of the work that needs to be done and it isn’t where the best time, the smartest money and the greatest energies should be spent. People are sick and tired of being managed by white men who are less knowledgeable and worse at their jobs than they are. I like Mustafa. He is a realist. For all my optimism, he’s a bit pessimistic at times. What is unquestionable is his expertise in this arena. He is also a staunch secularist and atheist. We may disagree on some things but on matters of diversity, we share one vision. This is a far bigger struggle, one going beyond the bounds of race and faith. People discriminate whether educated or not, whether bearded or not, whether hijabed or not. Too many white senior leaders appear more than happy to have Muslims work for them, just not with them, even less to share power with them. And that issue of power, is the essence of this struggle. Whilst we all need heroes and role models and we look towards cricketers and television bakers, this cultural comfort blanket belies the fact that anti-Muslim prejudice has become mainstreamed. Obama wasn’t post racial, the racial divide grew under his administration. 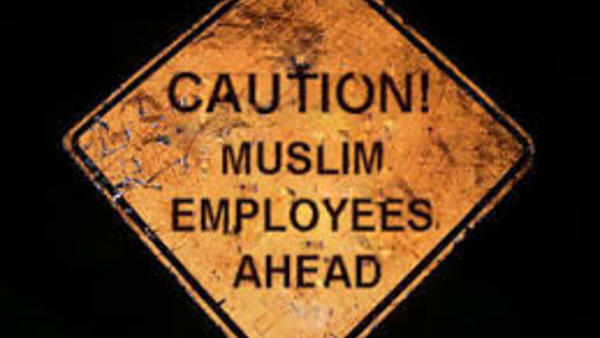 To tackle the Muslim civil rights crisis in the corporate space will mean tackling the uncomfortable truth that too many senior leaders remain ill equipped to manage diversity, to understand Islam and ultimately to recruit and support Muslims in the workplace. We need a shift of consciousness, from looking at labels to engaging with ideas; to shift the debate from one of integration to one of contribution. We need to tackle the misconceptions, the hysteria and the disinformation being peddled about Muslims and Islam. It is time for some messy conversations. 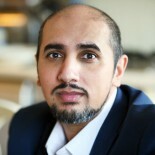 This entry was posted on 13/10/2015 by Mo Ansar in Activism, Diversity, Personal and tagged Demos, Discrimination, Diversity, Islam, Marginalisation, Mustafa Ozbilgin, Religion, The Muslim Penalty, Tony Blair.